So far Mindy has created 47 blog entries. Ken’s library is a small book collection at our Ronks location. Our library is available to you while you are here! Feel free to sit at our table and browse through the pages or roam the store to look for new plants. Please, return all books and magazines before checking out. Thank you! This post features one of our favorite books written by Kerry Ann Mendez. Working at Ken’s Gardens I often see confused looks on a customer’s face. It’s no secret. No matter how hard you try, gardeners often look lost and helpless while browsing for shade perennials. Shade spots are tricky and this book will help! Each list has 10 plant suggestions. This book has suggestions for all seasons; spring, summer, fall, and winter. It even has a list for “challenging sites” like dry shade or moist shade. Most of this book contains lists of plants, detailed descriptions, and multiple variety suggestions. There are parts where Kerry Ann Mendez breaks down tough shade lingo. All suggestions come from experience with Kerry’s own shade garden and she explains how to take care for them too. Beyond this, she writes her answers in a straightforward way that anyone can find humor in. This makes the book not only informational, but a joy to read. Remember to check out this book in the Ken’s library! Sign up for Kerry’s free newsletter by going to her home page. You will find a ‘SUBSCRIBE TO NEWSLETTER’ link under ‘PRODUCTS AND SERVICES’. Kerry Ann Mendez will be hosting a webinar titled ‘Radical Perennials: Non-Stop Color! No-Fuss! Environmentally Responsible!’. It will be October 27, 2017. Gardeners who are unable to see the live session are still able to sign up for the webinar at $7. Price includes downloadable documents. Perennials featured will have hardiness Zones ranging from 3 – 8 or 9. There will also be a form on the webinar that Master Gardeners and Landscape Architects can print to submit for continuing education credit hour consideration. Details and registration can be found here. Kerry is also scheduled to speak at The 13th annual Great Gardens and Landscaping Symposium on April 22, 2017. This event is popular for all gardeners in the Northeast. In previous years, this event has sold out so early registration is recommended. Special group and Master Gardeners rates are available. Find more information about the Symposium by clicking on the link above. The Declaration of Independence is the statement adopted by the Second Continental Congress meeting at Philadelphia, Pennsylvania on July 4, 1776, which announced that the thirteen American colonies, then at war with the Kingdom of Great Britain, regarded themselves as thirteen newly independent sovereign states, and no longer under British rule. Instead they formed a new nation—the United States of America. The spring season in Lancaster County is often difficult to decipher. Days in March awaken to a frost and thaw out to an average of 55°F. Our evenings tend to drop down below 40 and often land in the 30’s. For that reason, frost is a concern in the horticulture world and can be fatal to freshly planted seedlings that are not protected from these extreme temperature ranges. Plants that are not cold tolerant will show signs of stress and may experience irreparable harm. Luckily, the natural world is a beautiful and tolerant place that offers hardy plants the ability to adapt and grow in even the most unpredictable days of spring. 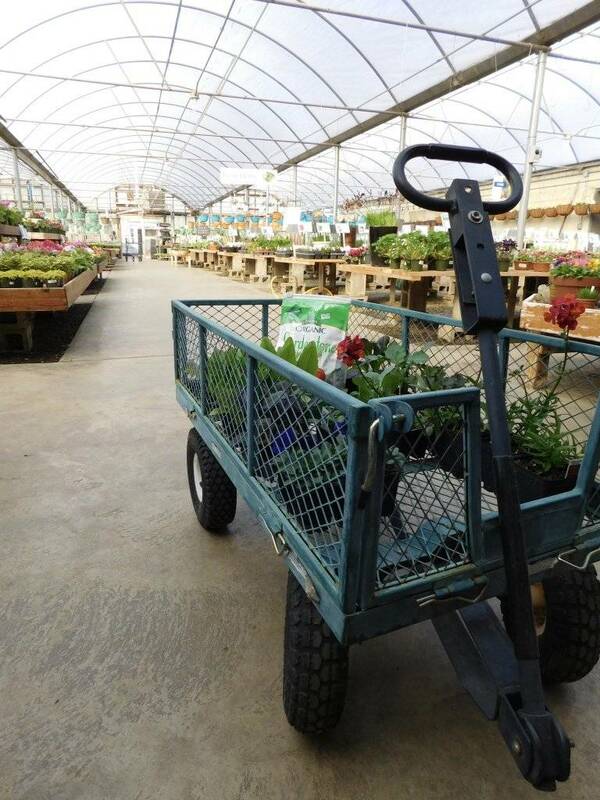 So come to Ken’s Gardens and fill the wagon with an assortment of cold tolerant plants waiting to feel the touch of morning sunshine. Our complete vegetable inventory for 2016 can be found here. However, not all seedling varieties are on the shelves. Mid-April will bring the release of our entire Tomato collection and May will start the beginning of our early summer vegetables. We greatly appreciate your patience as we grow from seed to seedling. Our Ronk’s location has the perfect example of how a garden can look when planted in early March. 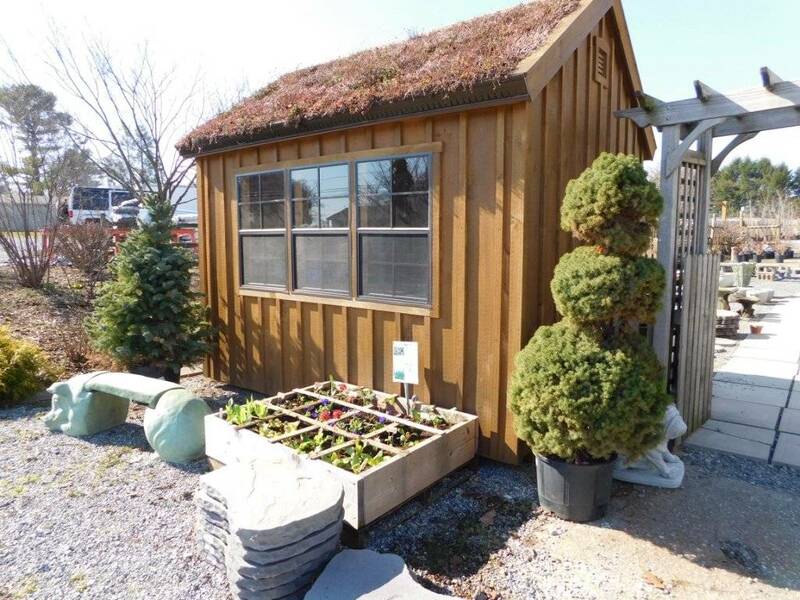 Sitting in front of our green roof shed is a 4×4 square foot box. This garden style is called “Square Foot Gardening”. It’s a simple approach to gardening and utilizes every inch for efficient growing, leaving behind the space waste of row gardening. 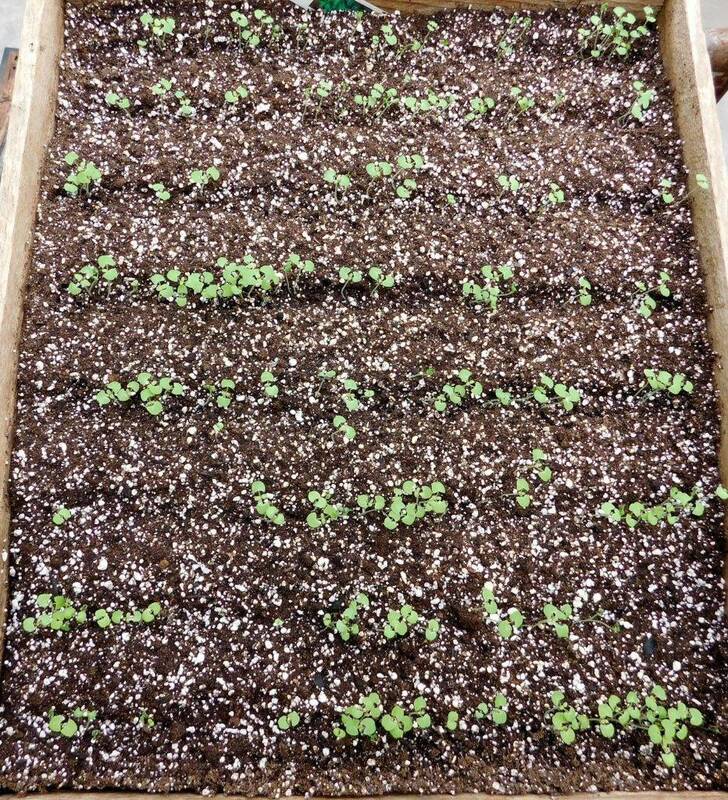 This box of cold tolerant annuals and vegetables were planted on March 8th, 2016. It was as EASY as 1-2-3. Here’s how we did. Our 2016 vegetable inventory is here! This means that you can start to plan your garden and know what you will be able to get! Not sure what the marks on the chart mean? Crossed out signifies vegetables we no longer carry. Yellow highlighted varieties are new for the 2016 year. How do we choose what we grow? We look for varieties that not only tolerant but thrive in our Lancaster County area. Beyond that, like you, we love vegetables with good yields and flavor. Our stock is chosen for the backyard and urban gardener. We also choose our vegetables with the canner in mind and we try your mother’s and grandmother’s favorites that you know and love. March brings out the cold-tolerant vegetables, like lettuce and greens. The early summer vegetables will be available in April. Not sure what you want or where to begin? Ask our employees and they will recommend varieties suited to your garden’s needs. 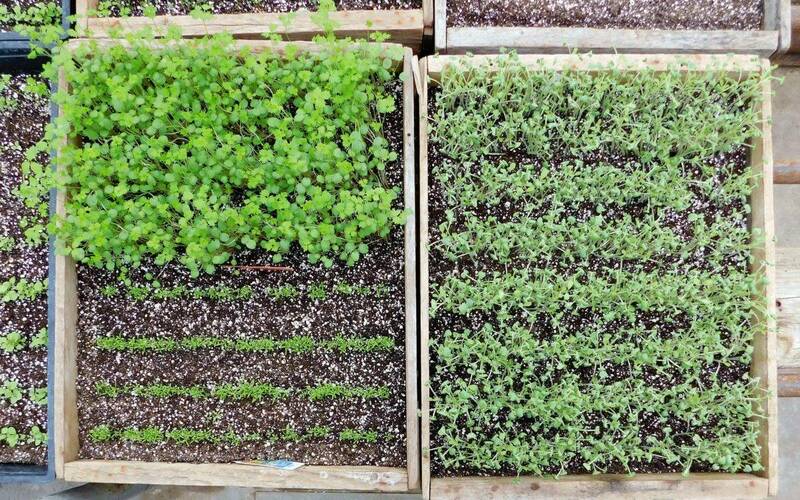 Perhaps you may want to try a new variety or a new method this year like square foot gardening (See an example here). You can ask our employees for more info and advice about both of these things. Mark your calendars now! March 19th will be FIELD DUG PANSY DAY! Our SMOKETOWN location will be celebrating a family tradition of digging field pansies. Over the past 40 years, the family has planted pansies in the fall and dug these happy little faces up in the spring. During the cold months, the environment and cold weather harden off these plants for a robust cure to ill winter blues. This is a family event with coffee and light refreshments. Chubby Chix will be onsite with delicious cupcakes, topped with an edible pansy blossom. Shovels will be provided for you and your little ones to dig your pansies. Of course, we will have assistance there for anyone who prefers to leave the dirty work to the professionals. $1 off a dozen pansies and a raffle ticket is given for every dozen purchased. Here at Ken’s Gardens we are looking ahead to 2016! We have a lot to look forward to this new year: workshops, sustainability and being able to do more for our customers. A lot of you have voted on a new logo, which will be coming out in 2016, as well as a new tagline. This year we would like to refocus on what Ken’s Gardens is: a family owned full service garden center that grows plants and knows plants. While there are plenty of plant farms and garden centers, there are seldom together. Ken’s Gardens grows most of their own plants and we know everything else we get in well. This allows our customer to get the best plant care prior to purchase and we know exactly how to help you at home with these plants. We also carry reliable and unique plants, supplies, and décor! We are also working on becoming even MORE sustainable! 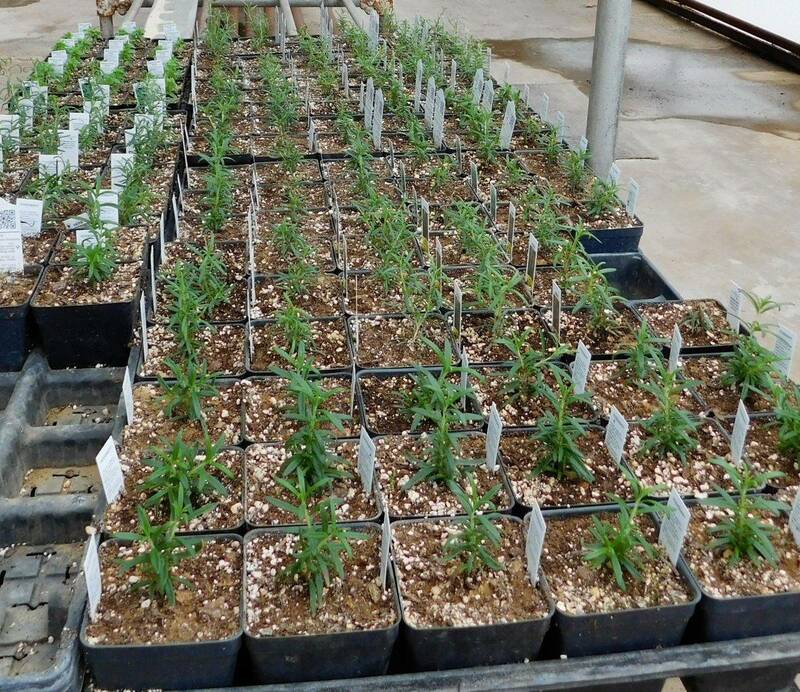 Ken’s is also moving towards biocontrol for growing our plants to be more environmentally friendly, as well as doing more community outreach programs. Be on the lookout for events to attend and ways you can help us! 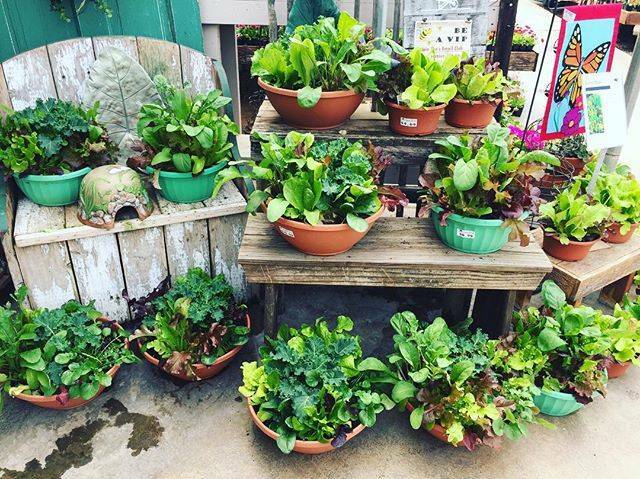 You may be wondering what a garden center would be doing with plants in the winter… Well, we are busy doing what we do best: growing plants! We have been very busy seeding and propagating. Ken’s has also been getting together a fresh inventory of décor and supplies for 2016 and we love what we are getting in! Ken’s has been anxious to give our loyal customers more, and we have been listening to your questions. So in 2016 we will be bringing you workshops and activities! 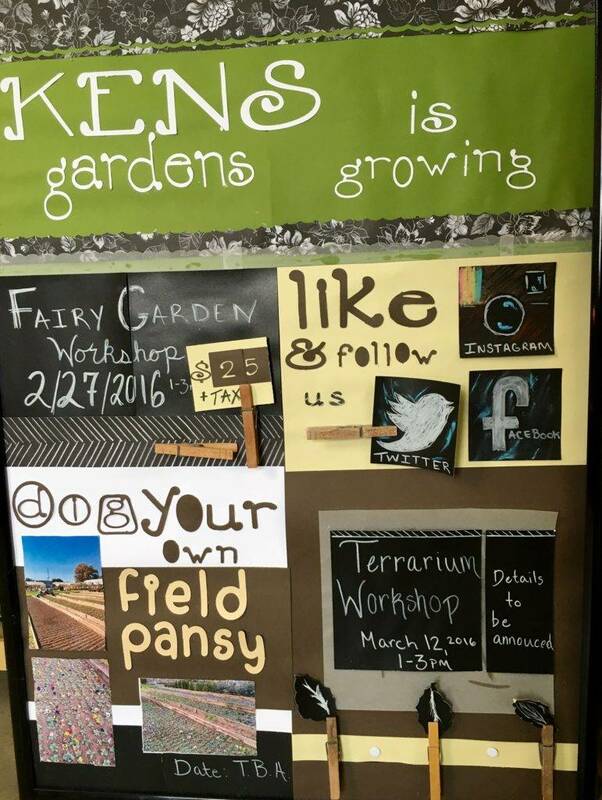 We will be having workshops for fairy gardens, terrariums, urban and contain er gardening, landscape basics and more. Field Pansy day is also coming as soon as the weather is good and the pansies are ready! Come out and experience a tradition our Smoketown store has been doing for years: dig your own pansies from the field!